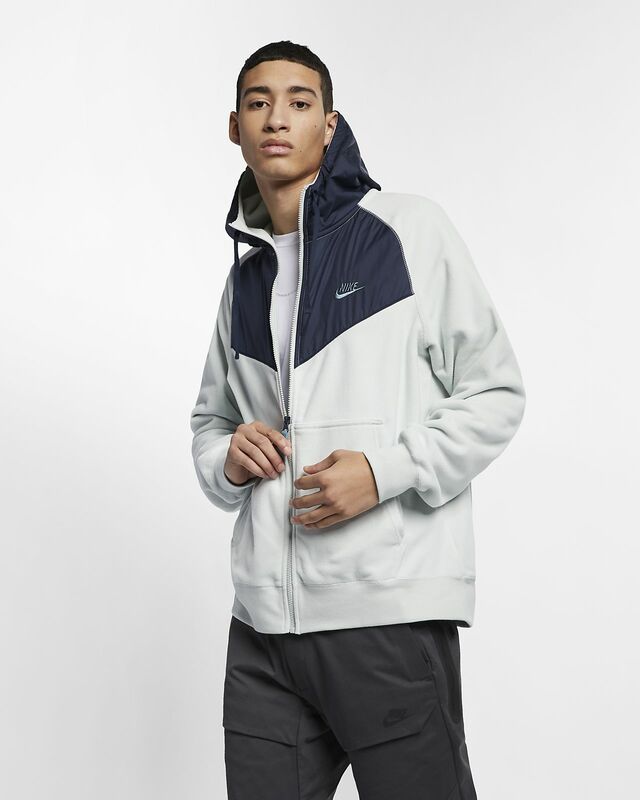 The Nike Sportswear Hoodie features polar fleece and an adjustable hood for warm coverage. Polar fleece feels soft and warm. Adjustable hood provides custom coverage. Full-zip design allows natural range of motion. Just to let ppl know it's the fluffy type material mostly and inside part is polyester material.. only down side is I had to go to shiek to find the pants to complete the set but it's fire.. I got the navy and red version of this hoodie. The polyester makes for a very comfortable hoodie. I like the design as well, I've received a few compliments on it. As far as function, this is a good light jacket for mild temperatures. This is not the best item for really cold temperatures but will do the job on an autumn morning run, for example. I have been using it for fashion rather than as an actual runners jacket or at the gym or anything like that. The material unfortunately attracts stray hairs so if you have a pet that may be a consideration for you. Take note of the special care/wash instructions. Overall, I am very satisfied with this purchase. I'd like to get another in a different color. 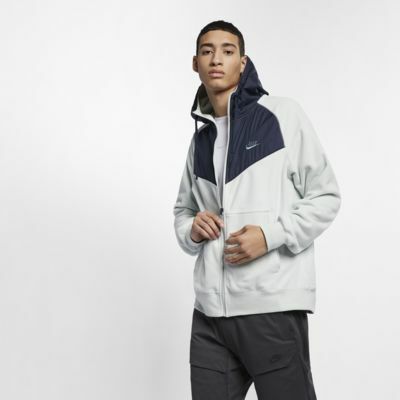 As a side, being a Nike Plus member is a no-brainer: you get emailed exclusive offers and always get fast and free shipping. Nike is the sports brand benchmark. I bought this as a Christmas present, and the recipient wears it every day as his primary coat!